Calgary, Alta. – The Western Hockey League is proud to announce 11 WHL players have been named to Canada’s under-18 roster for the upcoming Hlinka Gretzky Cup, scheduled for August 6-11 in Edmonton and Red Deer. 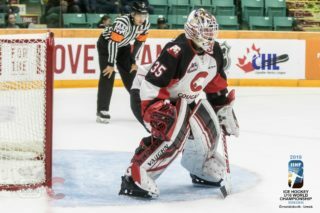 Team Canada consists of two goaltenders, seven defencemen, and 13 forwards, including three players who were part of Canada’s National Men’s Under-18 Team that competed at the 2018 IIHF U18 World Championship in Russia last April. Both Byram and Robertson participated in that tournament. 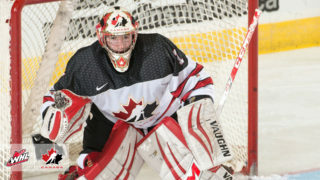 The selections were made by the team management group, which includes Shawn Bullock (Wainwright, Alta. 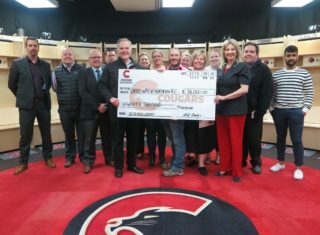 ), director of national teams – men’s, at Hockey Canada, as well as McEwen, and Alan Millar (Moose Jaw Warriors / Tottenham, Ont. ), the under-18 team’s Program of Excellence lead. Canada’s National Men’s Summer Under-18 Team coaching staff, led by head coach André Tourigny (Ottawa 67s / Nicolet, Que.) and assistant coaches Mitch Love (Saskatoon Blades / Quesnel, B.C.) and Ryan Oulahen (Flint Firebirds / Newmarket, Ont. ), provided input into the final player selections. 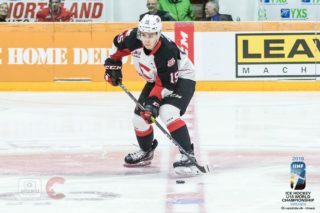 Canada’s National Men’s Under-18 Team will play the Czech Republic in pre-competition action on Saturday, August 4, at the new Servus Arena in Red Deer before moving on to Edmonton, where they open the Hlinka Gretzky Cup against Switzerland on Monday, August 6 at 7 p.m. MT. All tournament games played in Edmonton’s Rogers Place will be broadcast by TSN and RDS; check local listings for details.